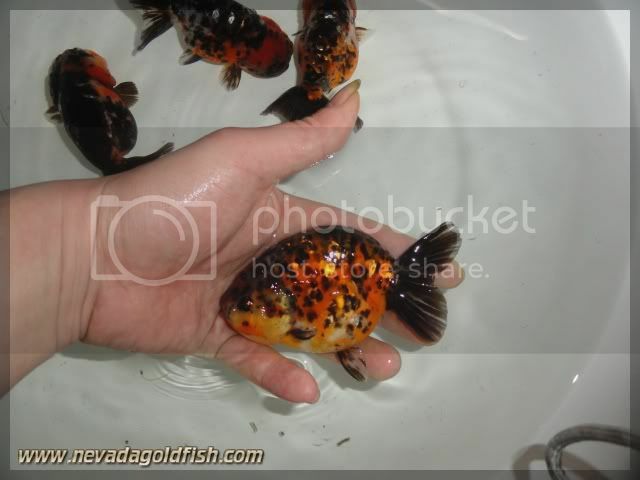 Tiger Calico Ranchu looks elegant with thick back bone and strong body and tail. RAN025 has these properties. 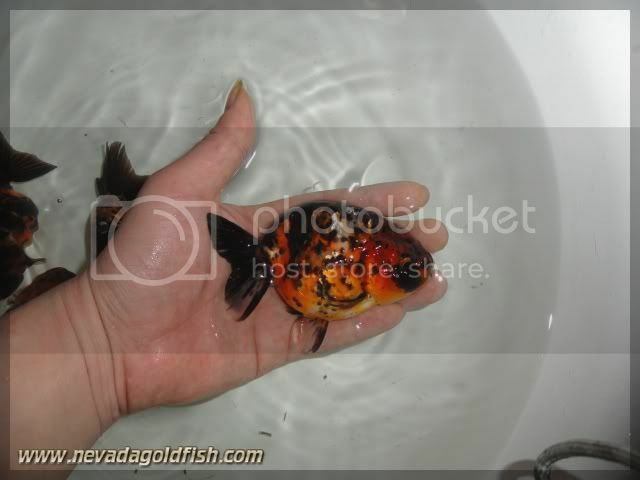 Same with its coloration, RAN025 is quite active and naughty. 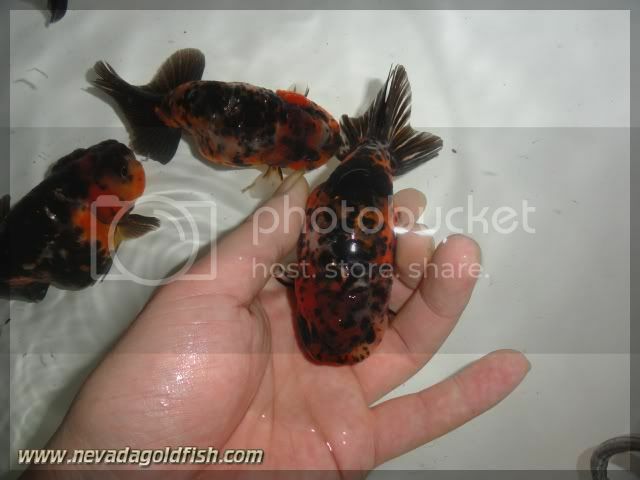 If you are looking for great Ranchu with active attidude, RAN025 is the right choice!